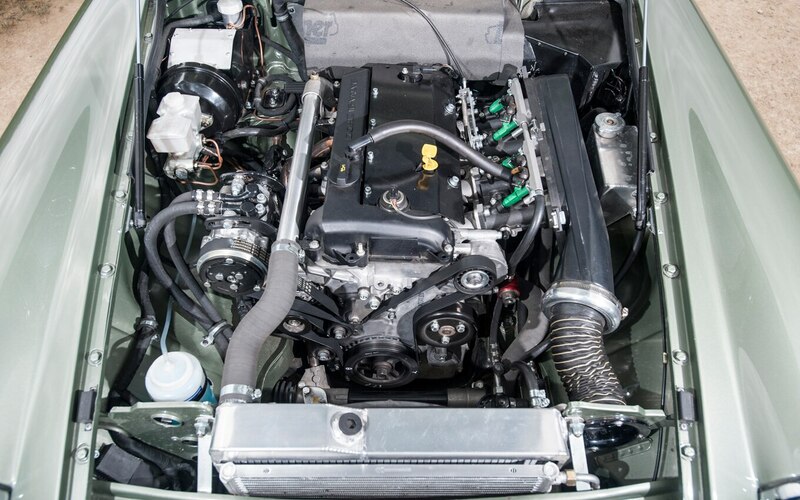 It’s MGB’s 50th anniversary year, so there’s something appropriate about a brand-new riff on the MGB powered by a Mazda Miata engine. 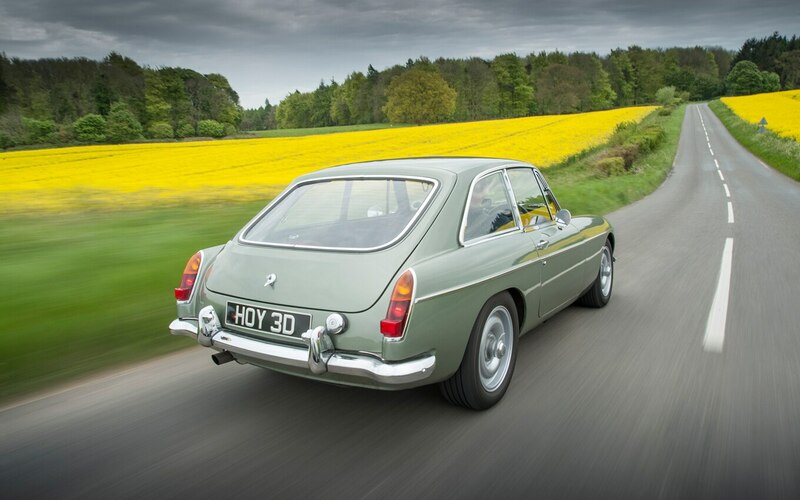 After all, it was the Mazda that finally supplanted the MGB as the world’s best-selling compact sports car. 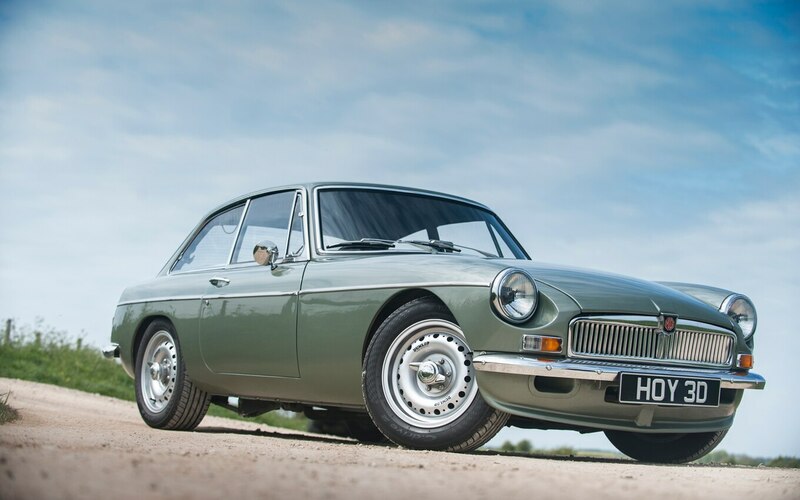 This mash-up, called the MG LE50, is a wonderful little car. It’s surprisingly refined, habitable, and usable — and the best part is, it’s hugely fun. This isn’t your ordinary Miata engine under its hood, but one hopped-up to 215 horsepower. 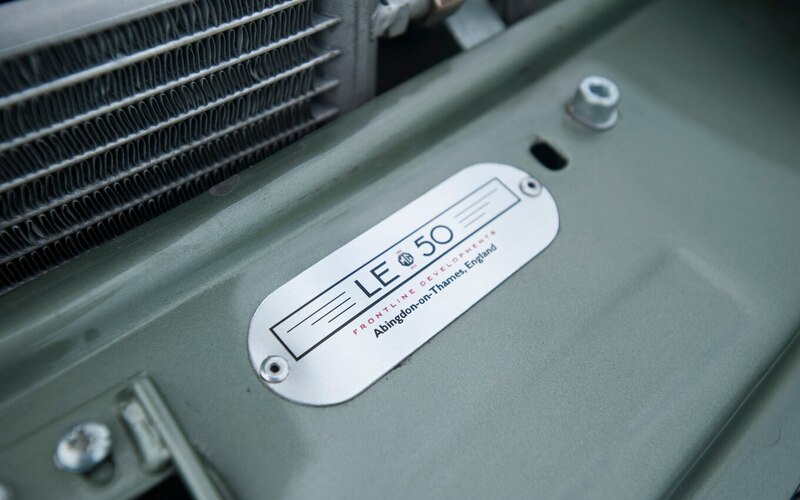 That and the car’s superlight nature make the LE50 far faster than its looks suggest. We’re talking Cayman S fast. It’s a hoot to roll up on a modern sports car and observe the quizzical look on the driver’s face as you race pass him in what appears to be an elderly and wheezing British sports car. 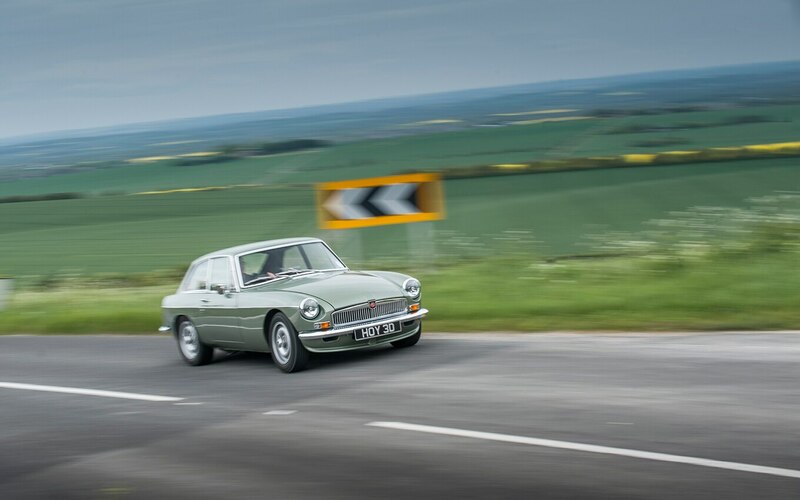 Did we say “new” MGB? That depends on how you define “new.” Every component except a pair of tiny trim parts is brand-new. 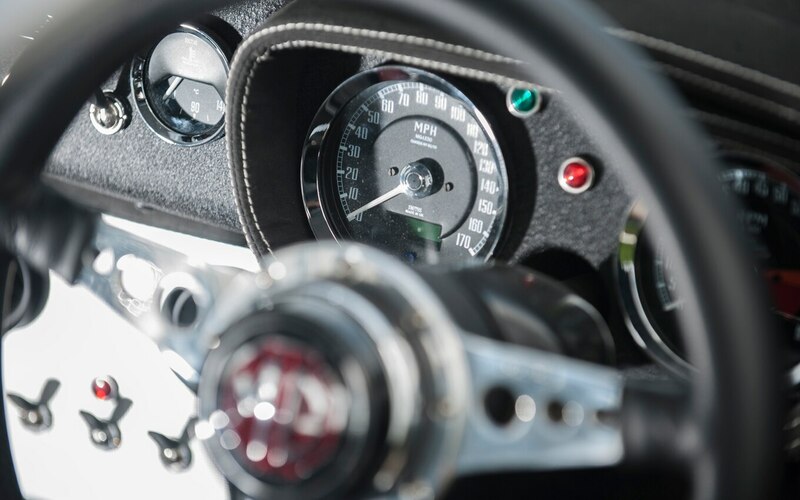 And yet the car can still be registered as an original MG and carries an original serial number, despite the fact that many of the LE50’s sub systems — powertrain, suspension, steering, brakes, soundproofing, and air-conditioning – have been upgraded to modern standards. 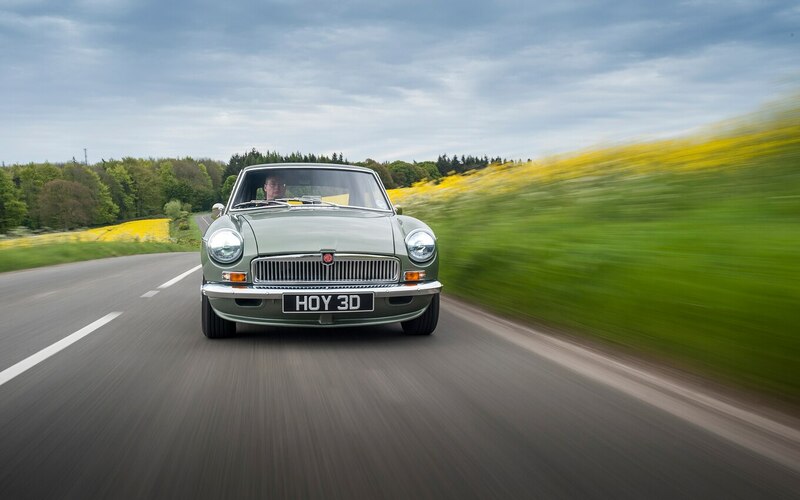 Because this MGB still counts as “old,” it can come to the U.S. free of new-car taxes, and is exempt from new-car regulations. One has already been sold to a buyer in Miami. Although it legitimately carries MG badges, the car is the work of a small British workshop called Frontline Engineering. 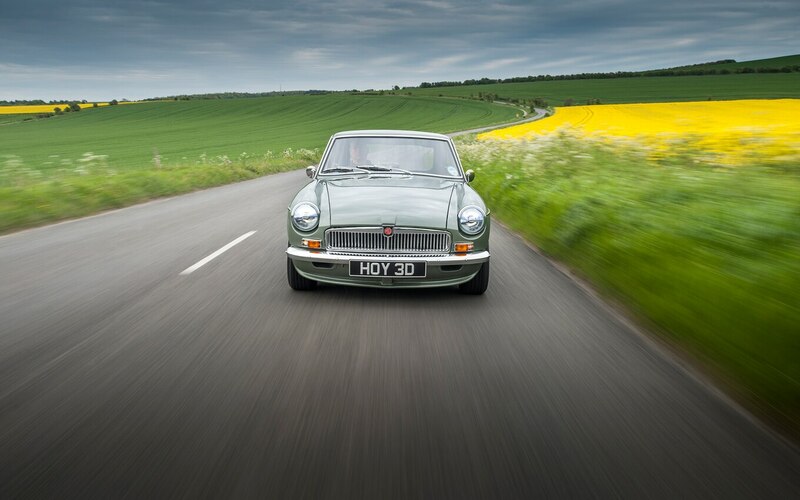 For each LE50 sold, Frontline buys a 1960s MGB wreck. 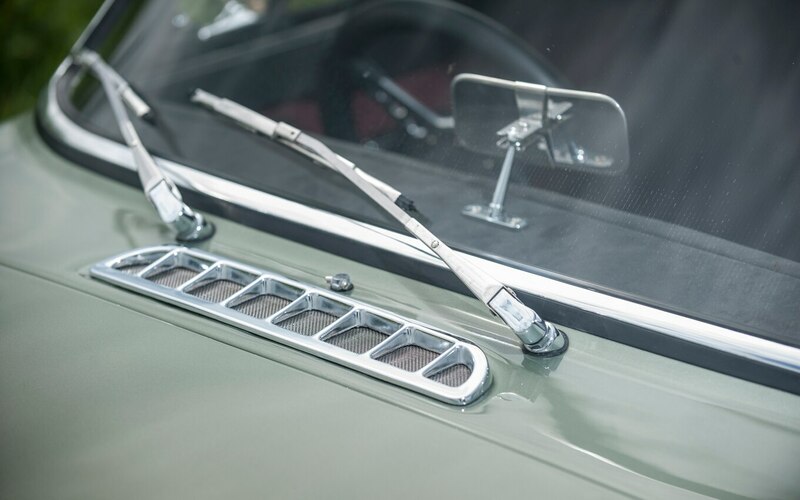 (They’re not hard to find in the U.K.) That car donates its identity, but supplies only one part: the pair of metal surrounds for the small vent windows in the doors. These are unavailable new, and their curvature makes them hard to replicate, so they’re restored and re-chromed. The build-up of the new car begins with a bodyshell from British Motor Heritage, the company that grew out of the old BMC-Leyland-MG-Rover empire. 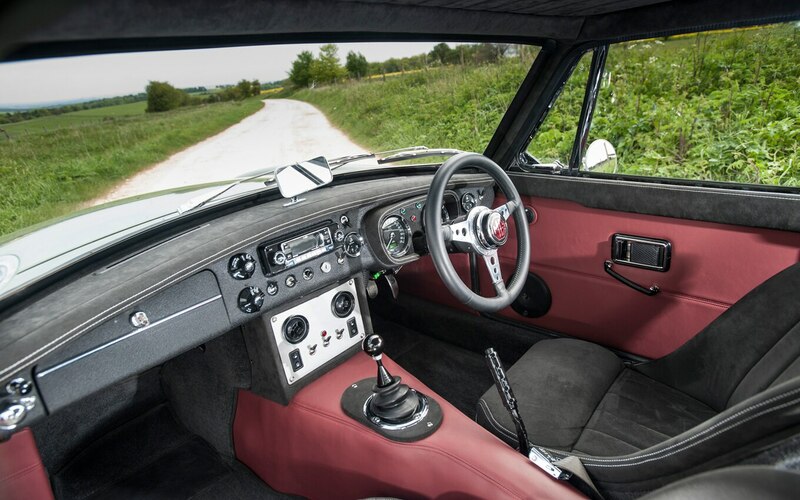 The shells are made on the original tooling, but for the LE50, the floor is strengthened using panels made for the short-lived MG RV8, a 1980s revival of the MGB roadster that used Rover’s 3.9-liter V-8. The RV8’s bodyshell required extensive stiffening to cope with the V-8’s torque. Add the LE50’s steel roof and comprehensive seam-welding, and the result is a shell that never feels like it’s flexing. This is where things take a quick turn into the time-travel dimension. Under the hood is a 2.0-liter four from the Mazda MX-5 with throttle bodies and custom engine management, good for the aforementioned 215 horses. 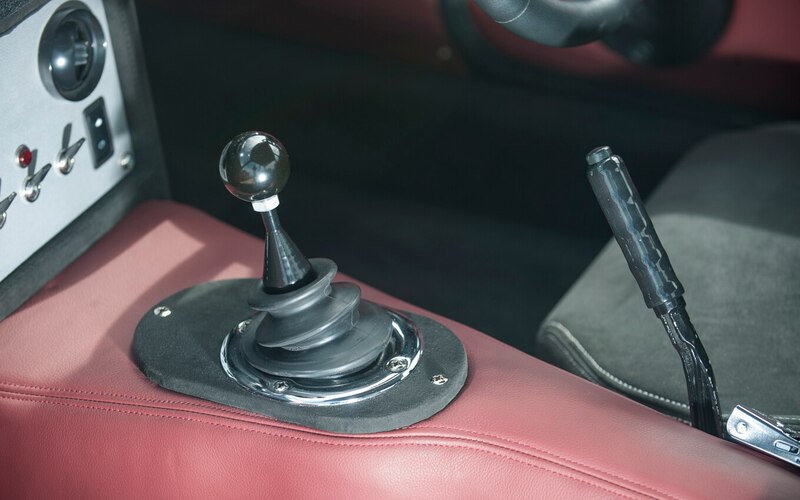 It’s hooked to the Mazda six-speed manual gearbox. It’s not just quick, but also docile in the sort of traffic jams that didn’t exist in 1962, and immune to British sports-car overheating, thanks to an oversized aluminum radiator. The LE50’s powertrain is far lighter than the original iron boat-anchor. Frontline also fits aluminum front wishbones to the suspension, and very light aluminum-framed bucket seats. It means the new car, despite extra soundproofing, air-conditioning and the strengthened body, weighs less than 2100 pounds. A 1962 chassis would be criminally assaulted with this power. So instead there’s a new double-wishbone front end. In place of the old leaf springs, the back axle gets five links and coils. There are also bigger brakes and even electric power for the steering. Tires aren’t the vintage type, either, for which we can be extremely grateful. Their size is in keeping, though, at 195/65 16 rear and 185/65/16 front with a tall sidewall that keeps the ride supple. 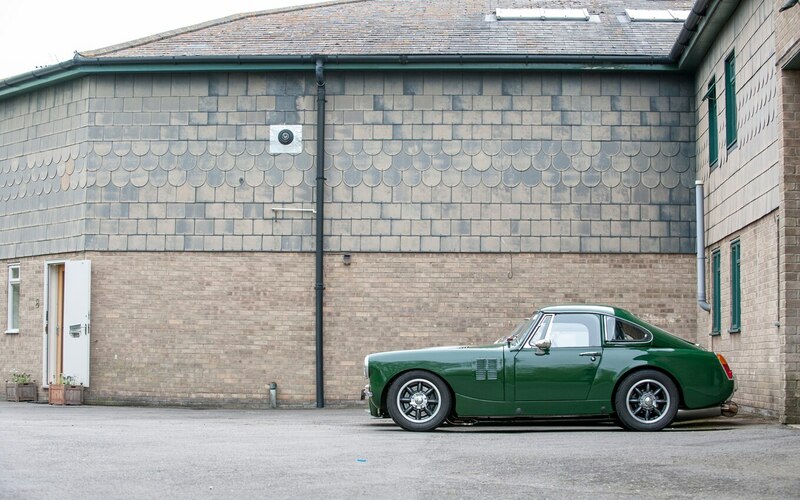 Leaving Frontline’s workshops — coincidentally just a few miles from MG’s historic home in Abingdon, Oxford — the car almost glides over lumps and cracks in the road that would have modern sports cars making a noisy crash. The other first impression is the tiny scale of this cabin. At first it seems pedal-car narrow — no space for door bins or cupholders. Your feet poke down a narrow footwell, like you’re sitting in a bathtub. But visibility is clear, thanks to the thin pillars. Better yet, the smallness (it’s 10 inches slimmer than a typical modern compact) means that narrow roads seem wider, gaps in traffic bigger. Into the countryside, speed builds keenly. 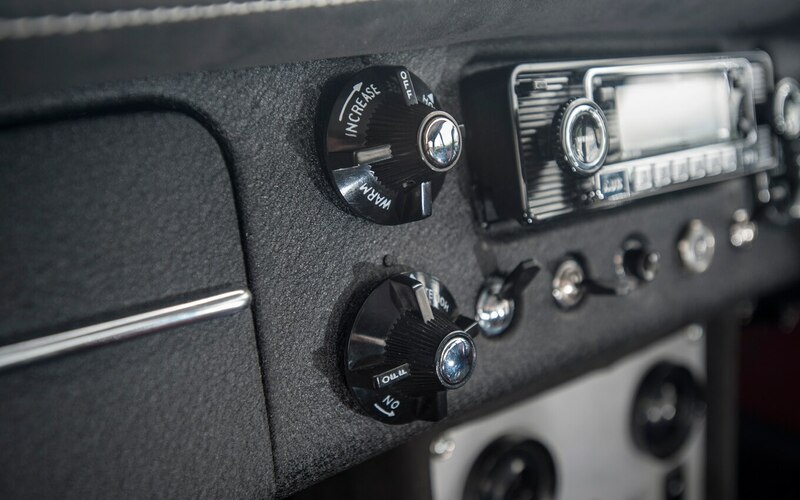 A jab of the throttle takes great bites out of the tach, and you’re quickly clicking through the gearbox’s close ratios via the lever’s short, mechanical throws. It’s a beautiful engine to drive: sharp-witted, instant to the throttle, happy to rev. 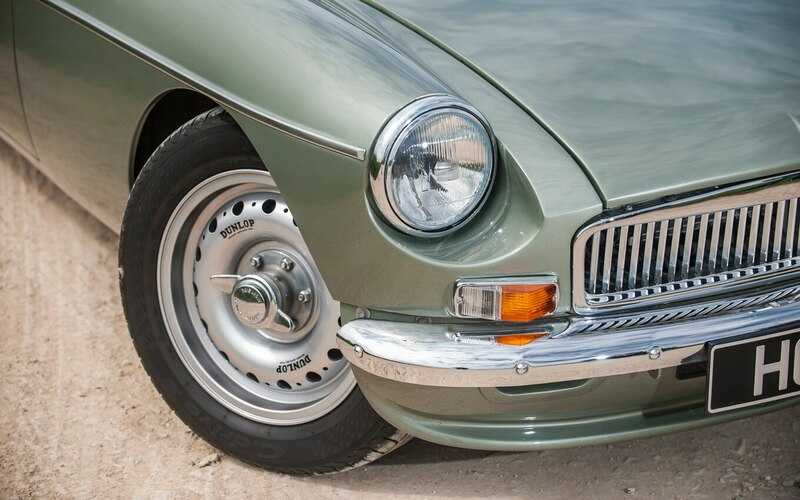 Because the exhaust is the same length and shape as the original, you’re accompanied by an evocative classic-car rasp. The comparatively soft chassis lets the car float and breathe down tight, twisty turns or over heaving asphalt, but the joy is the way it always communicates. The steering has fine accuracy and gregarious feedback, and the car dives into corners like a little terrier. Of course there’s less grip than a modern sports car (though far more than most classics), but the joy of it is you can use every last particle of the available lateral g, because the limit signals its approach with clarity and bear-hug friendliness. Broach the limit, and this is probably the most easily oversteered car your tester has ever driven. 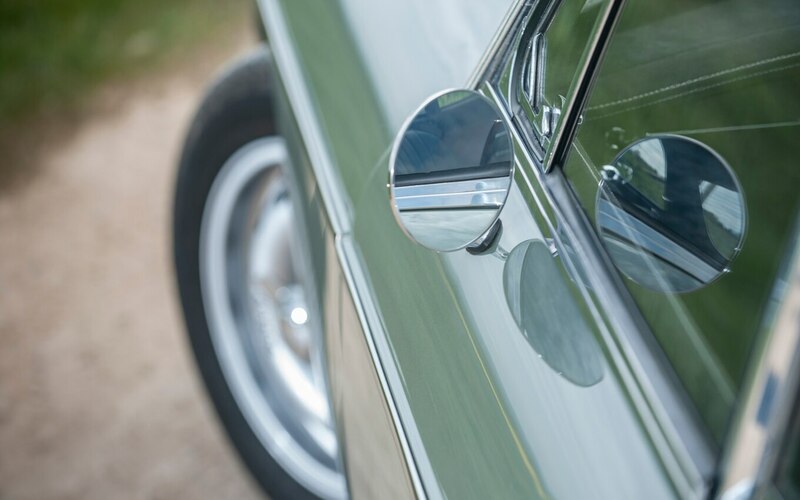 The joy of driving a classic car is always the interaction and involvement. But the rare pleasure here is to be driving one that leaves that interaction intact, while adding modern capability. And people still love you for driving an old British sports car. Well, maybe not, if you’ve just left them for dust.